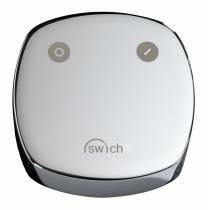 Introducing Swich, this revolutionary product will now transform your kitchen tap, new or old, into a filtered water tap delivering a constant supply of crystal clear filtered water. 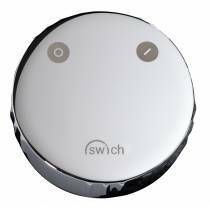 The Swich is easy to install and use. 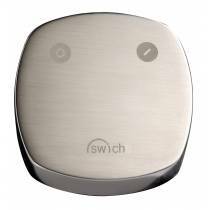 Simply turn the handle control to indicate the type of water supply that you wish to channel through the tap – giving you immediate access to both the domestic supply and then to water filtered through the Swich filter cartridge, delivering clear refreshing results. The flow of cold or filtered water from the tap is adjusted and managed in exactly the same way as you would normally use the tap and is perfect for kitchen or bathroom use. 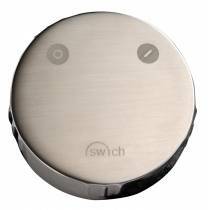 The Swich is supplied with two filter types, 'Classic' perfect for soft water areas and 'High Resin' for hard water and high scale areas. Join the revolution - ditch the plastic and make the Swich!